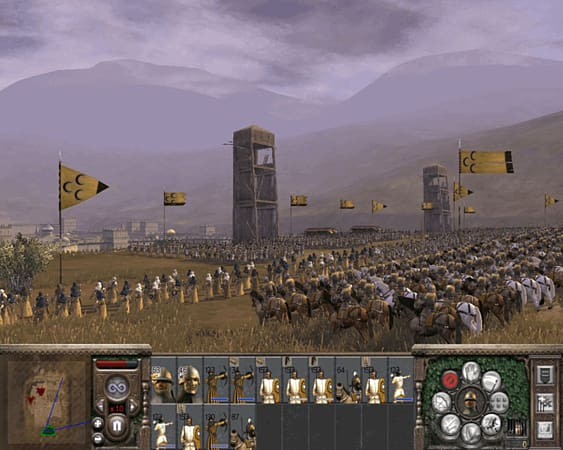 Medieval II: Total War is the fourth instalment in the Total War franchise following the million unit selling Rome: Total War. An epic 450 year campaign challenges you to seize control of the medieval world. Fight across Europe, The Middle East and, for the first time ever in Total War, discover the New World and the fearsome Aztecs. 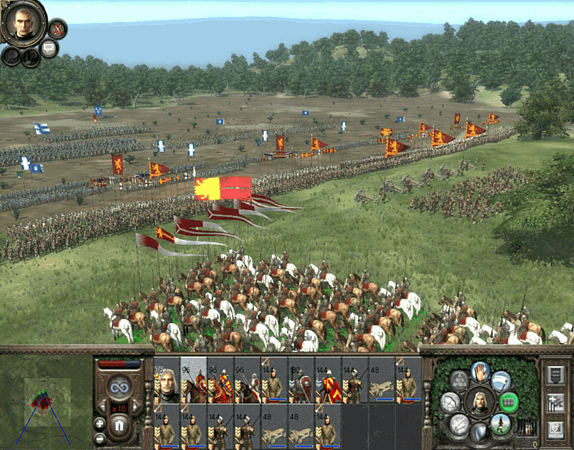 A redesigned graphics engine displays Total War's signature 10,000 man battles in unparalleled detail, making Medieval II: Total War the most glorious looking RTS game of all time. 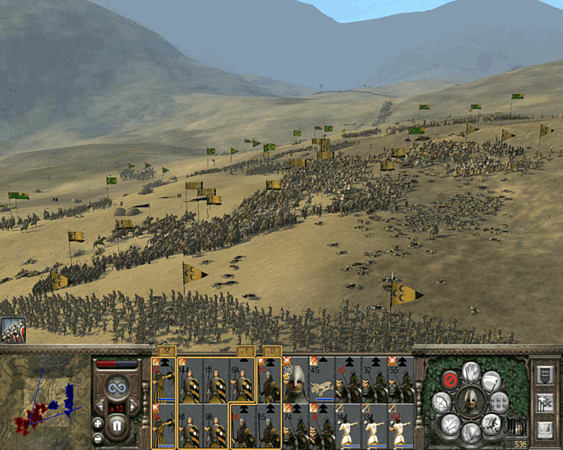 Varied terrain and individual faces, armour and combat animations make battles more visceral than ever before. However you must also build and manage your kingdom, balancing the needs of your economy, military and population happiness. Experience religious fervour as you contend with the whims of the Papacy and the feared Inquisitors eager to quash heresy. Send your men to fight in The Crusades or wage Jihad as one of the great Muslim nations. 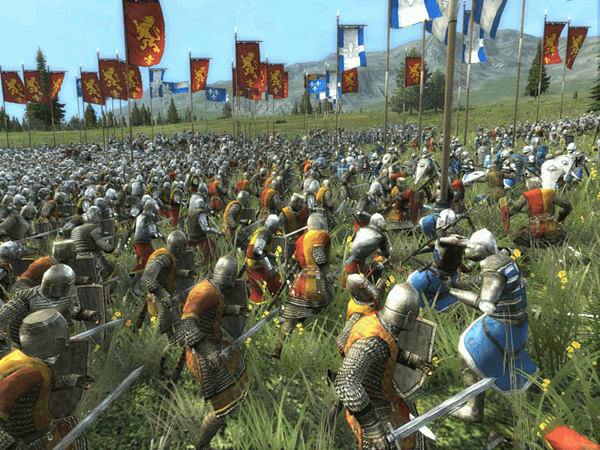 Medieval II: Total War is the greatest Total War game to date and sure to seize a position as one of the greatest PC RTS games ever made. A grand campaign spanning 1080 - 1530 and based within Europe, The Middle East and South America. 21 factions and 250 new units. Religious fervour. Play as a Christian nation and choose to obey or defy the pope. 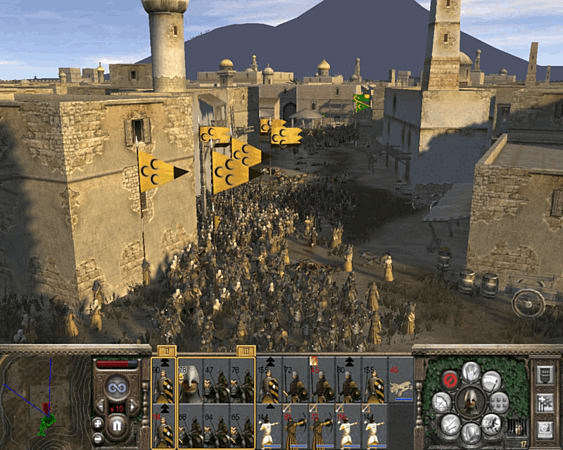 Play as a Muslim faction and wage Jihad upon the infidels. Deeper diplomatic gameplay. Establish trade routes, send spies to enemy territory, marry daughters to ensnare rival generals or assassinate the Pope to place your cardinals within the Vatican. Vastly improved multiplayer making online faster to setup and enjoy. Medieval II: Total War Kingdoms will feature 4 brand new campaigns, including an opportunity to more fully explore The New World that was unlocked toward the end of Medieval II. In the Americas campaign, players will be able to retrace the steps of Hernán Cortés in 1519, as he seeks to explore and conquer The New World. Players can earn the support of Spain and explore the mystery and riches of the New World, or take control of the Aztec or Native American factions and call on the Gods and the bravery of vast armies to see off this new threat. Three other campaigns will offer more detailed “magnifying glass” campaigns within Great Britain, Northern Europe and the Holy Land, with many more regions than were originally shown in Medieval II. 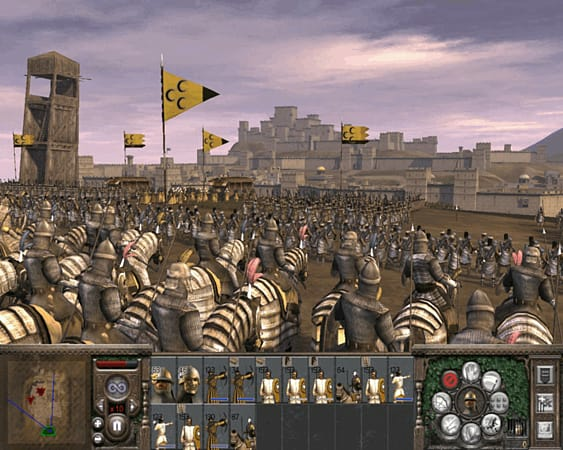 Featuring 13 new playable factions and over 150 new units, Kingdoms will allow players to control thousands of men on a single battlefield and lead them into conflict with new hero characters such as Richard The Lionheart and Saladin, each armed with new, powerful battlefield abilities. In addition, players will use moated forts to garrison vast armies or seize control of key strategic points and explore new technology trees, governed by religion and prestige. Players can experience a bloody clash between pagans and Christians in the Northern European Teutonic Wars, or take control of one of 5 factions in the Britannia campaign when England faces war on 4 fronts as once conquered lands rise up against them. Kingdoms will also include a new expanded Crusades campaign, where players renew their fight for control of the Holy Lands, with new factions, devastating new units (such as the terrifying Greek Flame Thrower), legendary heroes and powerful holy relics. More than 75 hours of epic new gameplay. Four huge new campaigns: Britannia, The Crusades, The Teutonic Wars and The Americas. 13 new playable factions, including Aztec and Native American factions. Over 150 new units, including the devastating Greek Flamethrower. Follow in the steps of Hernán Cortés and explore a vastly expanded New World map. Open up a wide array of new regions in the Americas, plus four brand new factions and a cast of new agent characters. Experience unprecedented detail, including 30 regions of Britain and a region map of Teutonic Europe. Control multiple armies in battle - command reinforcement armies. New hero characters feature powerful battlefield abilities. Encounter a huge roster of new historical characters and events. Build permanent forts to garrison troops or seize control of key strategic points. New technology trees influenced by religion and prestige. Take on all-new mission types. Six new multiplayer scenarios and 20 new custom battle maps. Two players can now share a campaign with the new Hotseat multiplayer mode. Internet (TCP / IP) play supported; Internet play requires broadband connection and latest drivers; LAN play requires Network card.